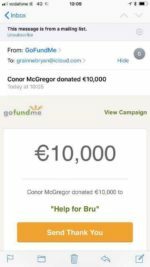 Conor has made our dreams come true in so many ways, and I can verify it wasn’t for a publicity stunt, he privately donated to us, I just had to let him know how much we appreciate it. McGregor surprises Lee Hammond, an up-and-coming amateur fighter, and Sergey Pikulskiy, a wrestling coach, who are both members of McGregor’s Straight Blast Gym in Dublin, with a VIP trip to Las Vegas to watch the Mayweather fight. The two of them thought they were at the gym to record ‘good luck’ messages for McGregor with his new sponsor, Betsafe, but once they had been filmed giving their support, they were shown a clip which contained a message from McGregor to them. ‘Notorious Airways’ has been created by Conor McGregor and Betsafe, as a program to fly a small selection of lucky attendees to the fight. Congratulations to Lee Hammond and Sergey Pikulskiy of Straight Blast Gym – you get to fly on my personal private jet to Las Vegas to witness my fight on August 26th. Congratulations boys and I will see you there. When Wahlberg, a minority shareholder in UFC, is asked about McGregor wanting a share in UFC he initially says he should pay his own way, before offering a share of his. He’s gotta cut the check. 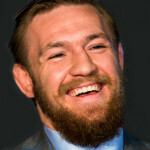 Everyone’s gotta cut the check if they want a piece…You know what, as a matter of fact, I’ll give him a piece of mine ‘cos his is the face of UFC right now…He’s a hustler like me so there’s probably a lot of other opportunities for us to go out and make money together. He’s a movie waiting to happen. Why not? 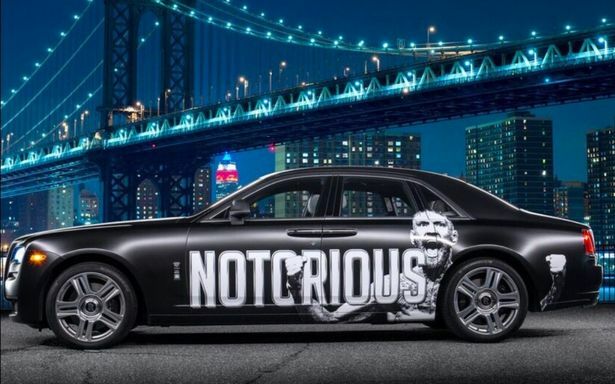 Rolls Royce gives McGregor a custom Ghost valued at £280,000. I’m not afraid of anyone. I’ll take them on, anywhere, anytime – McGregor included! 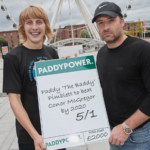 Paddy’s not a lad who’s short on confidence and we were more than happy to give him a bet on himself when his management team reached out to us. Given his talent he’ll be circling the waters with the big fish in no time, and should he beat McGregor it’ll sting as much as his right hook but a great cause will benefit.